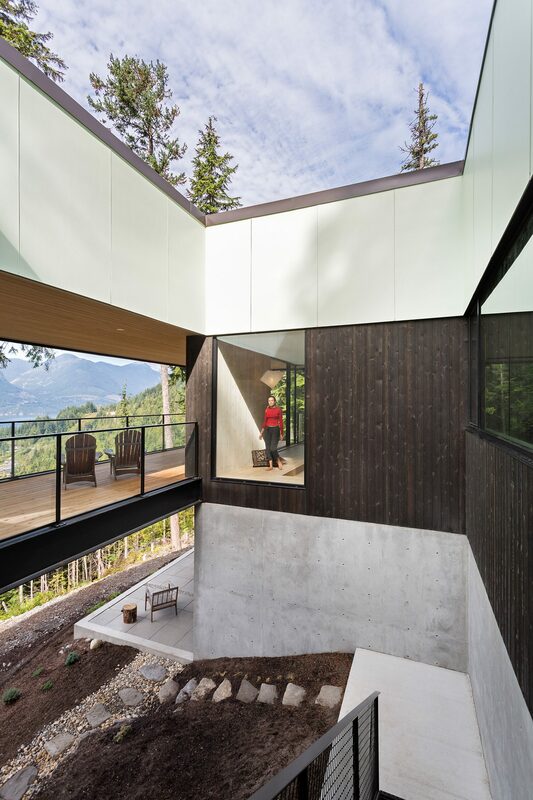 Recently, a stilted concrete house was built with ample glazing in Britannia Beach, a small town north of Vancouver, Canada. 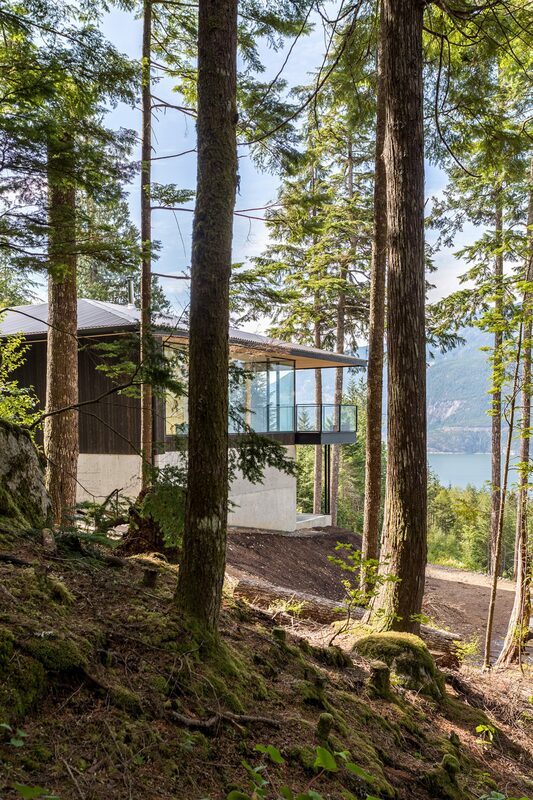 Canadian firm Hunter Office Architecture built this beautiful house in the middle of a forest, and in a close proximity to a river. The thing that makes this building one of a kind in its area is that this has been built using Vastu Shastra, otherwise known as “Hindu Science of Architecture”. The owner of this building formally requested the firm to build this building in that architecture. According to the ancient texts, the systems describes how the building should integrate with nature while aligning with symmetry and directional alignments. 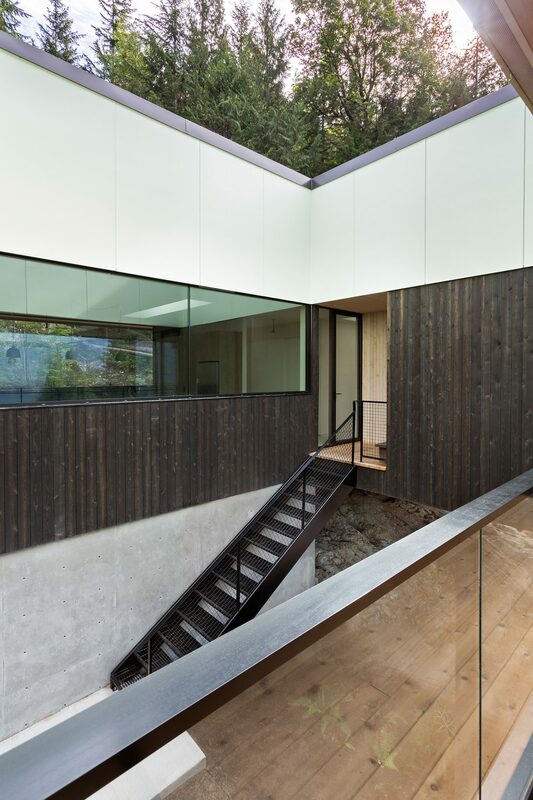 Inside the house, there is a black metal staircase that leads to the open courtyard area where the main living area can be found. 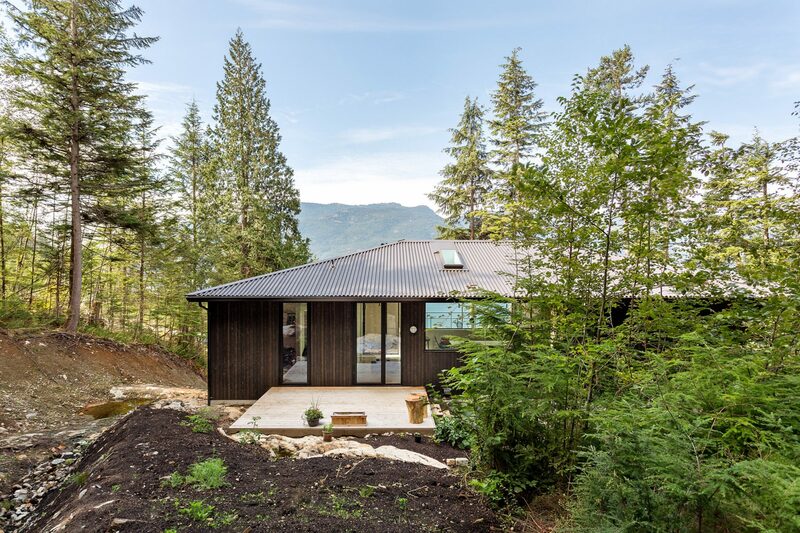 The style is more of a tree-house feel, where you can see the nature in every aspect of it. One wing is concentrated with dining area and living area, and on the other, two bedrooms and bathrooms fit together. A balcony connects these two ends. There is an art studio and a fermenting cellar downstairs. Overall, the area is a thing of a beauty. And it is a proud moment for a Hindu to see the western culture picking up Vastu Shastra to build their building.